Disney just shared a sneak peek of Incredibles 2, and it has made us even more excited for it. Disney showed the opening of the movie at CinemaCon this Tuesday, April 24, and thanks to The Hollywood Reporter, we have an idea of what's going to look like. According to THR, the sequel starts exactly where the Incredibles left off, with the family preparing to stop the Underminer destroying City Hall. The moment is recalled by Violet's love interest, who's scared seeing her as a superhero might make their forthcoming date weird—we get how that could happen. The website also explains there's an action scene right at the beginning, in which the Parrs battle the villain with some assistance from Frozone. The group uses their powers to stop the City Hall destruction without harming residents. Now we are even more excited to watch the movie, and June 15 seems so far away. 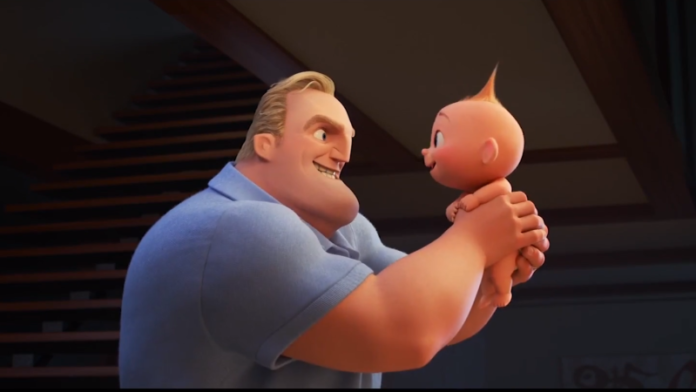 Writer and director Brad Bird recently revealed there's a reason why each of the Incredibles has their super power: family stereotypes. “I picked the powers based on who they were in the family,” the director explained, adding the roles will be changing on the second movie. Last month, Disney released a teaser trailer that gives a peek at the villain our favorite superhero family will be facing: Underminer. Before that, the official trailer for The Incredibles 2 came out in February, where we learned there's a businessman who wants to bring superheroes back, and Elastigirl is the one he has his eyes on. With her back into action, Mr. Incredible is looking after the three kids—oh, and trying to manage Jack-Jack’s developing powers. Plus, Disney gave us a proper introduction to the characters—old and new—that we have to look forward to, and safe to say: We're excited.